Today, independent record stores around the world celebrated Record Store Day. Record Store Day started in the US in 2008. The annual celebration takes place on the third Saturday of April with record stores around the world marking the day with events including special sales, in-store performances and the sale of limited edition releases. Record Store Day celebrates not only music, but the experience of shopping at independent record stores, one that has seen a decline with the increase of downloading, online mail-orders and chain stores taking over. This year, record stores around the world are selling special releases by artists including the Arctic Monkeys, Franz Ferdinand, The White Stripes, The Kills, Nirvana, Sonic Youth, Joy Division and many more. NME has a list of their picks here. Some of these releases are limited to only a couple of thousand or even a couple of hundred copies, so needless to say, many of them are not available in Australia and certainly not Canberra. While I sadly won’t be getting my hands on one of the 1500 copies of the 10″ release of The Queen is Dead, I hope they end up in the hands of other Smiths fans rather than for sale at exorbitant prices on ebay. Here is an interview with Johnny Marr about the release. 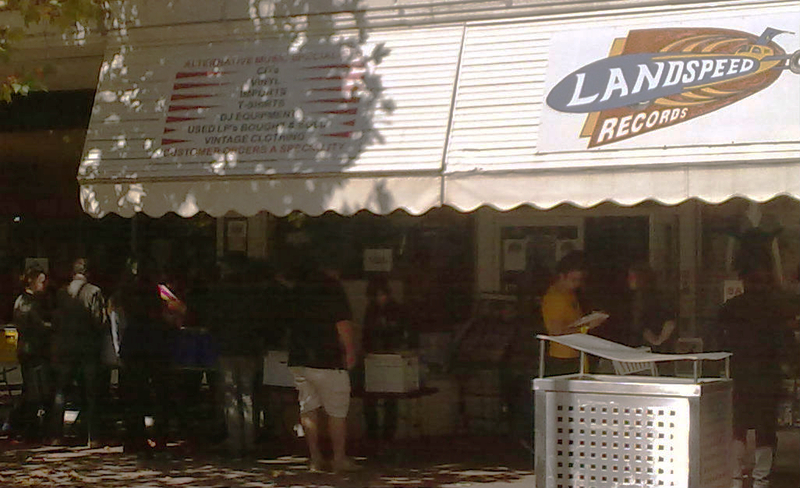 Landspeed Records in Garema Place, Canberra, celebrated Record Store Day for the first time today with a second-hand vinyl fair, over 2000 used LPs were on sale. Record Store Day, Landspeed Records. 16th of April, 2011. 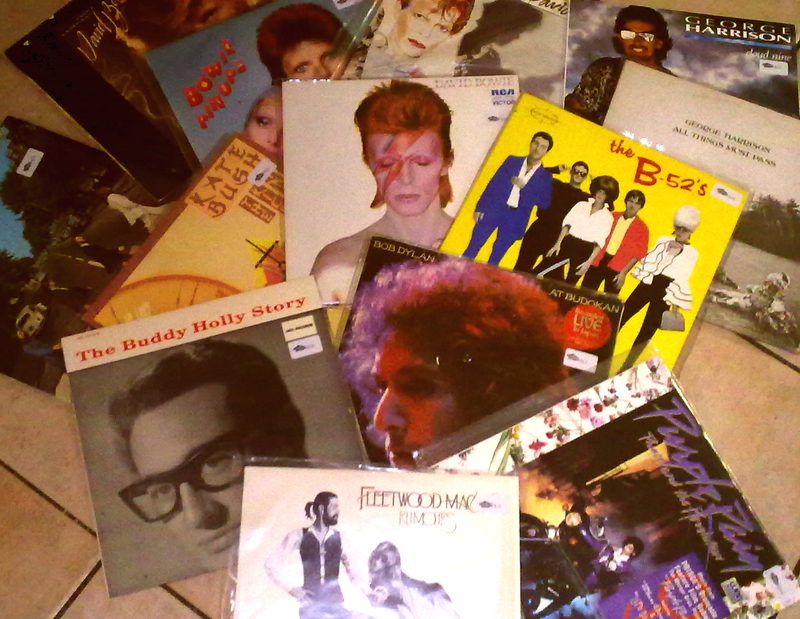 I spent an enjoyable morning browsing the crates out the front of the store and my sister and I walked away with a stack of goodies. Did you celebrate Record Store Day? Find any treasures? This entry was posted in Music and tagged Canberra, independent record stores, Josh Homme, Landspeed Records, record store day, The Smiths. Bookmark the permalink.